25 Unique Commerce People Mac Style Icons for your website or Software. Free Icon Gallery - A Huge Collection of 5, 000 Free Icons and Icon Libraries! 5, 000 brilliant 256-color Windows icons with viewer. 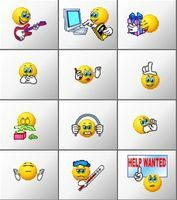 40 emoticons for IM, Emails, Forum and other communication tools. 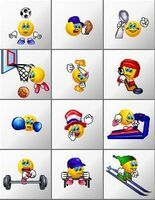 Vista Style Multimedia Icon Set. Seven sizes from 16x16 up to 256x256.